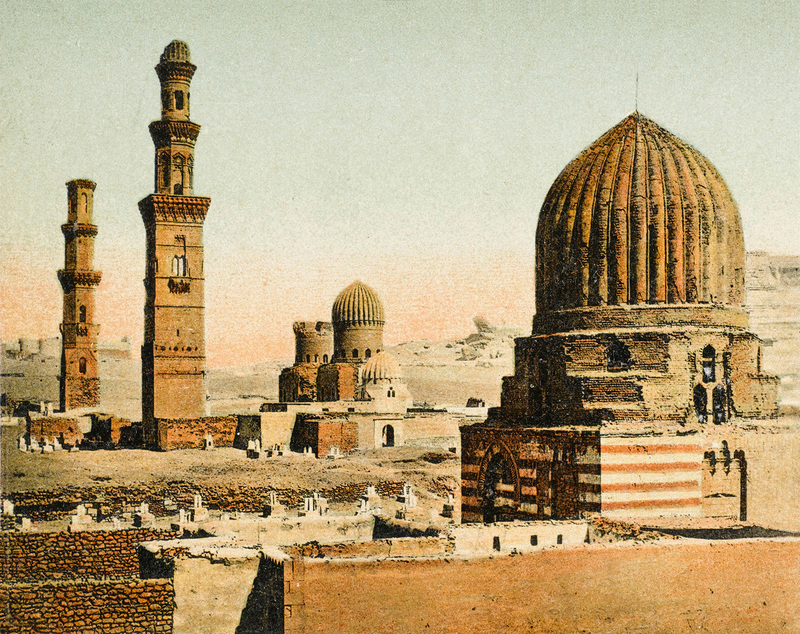 The Tombs of the Mamluks, Cairo, Egypt, 1910s. The Mamluks ruled Egypt and Syria from 1250 until 1517, when their dynasty was extinguished by the Ottomans. But Mamluks had first appeared in the Abbasid caliphate in the ninth century and even after their overthrow by the Ottomans they continued to form an important part of Egyptian Islamic society and existed as an influential group until the 19th century. They destroyed the Crusader kingdoms of Outremer, and saved Syria, Egypt and the holy places of Islam from the Mongols. They made Cairo the dominant city of the Islamic world in the later Middle Ages, and under these apparently unlettered soldier-statesmens’ rule, craftsmanship, architecture and scholarship flourished. Yet the dynasty remains virtually unknown to many in the West. The dynasty had two phases. From 1250 to 1381 the Bahri clique produced the Mamluk Sultans; from 1382 until 1517 the Burgi Mamluks were dominant. These groups were named after the principal regiments provided by the Mamluks for the last Ayyubid sultan as-Salih whom they served before overthrowing in 1250; the Bahirya or River Island regiment, based on a river island in the centre of Cairo and the Burgi or Tower regiment. The word Mamluk means ‘owned’ and the Mamluks were not native to Egypt but were always slave soldiers, mainly Qipchak Turks from Central Asia. In principle (though not always in practice) a Mamluk could not pass his property or title to his son, indeed sons were in theory denied the opportunity to serve in Mamluk regiments, so the group had to be constantly replenished from outside sources. The Bahri Mamluks were mainly natives of southern Russia and the Burgi comprised chiefly of Circassians from the Caucasus. As steppe people, they had more in common with the Mongols than with the peoples of Syria and Egypt among whom they lived. And they kept their garrisons distinct, not mixing with the populace in the territories. The contemporary Arab historian Abu Shama noted after the Mamluk victory over the Mongols at Ayn Jalut in 1260 that, ‘the people of the steppe had been destroyed by the people of the steppe’. Boys of about 13 would be captured from areas to the north of the Persian empire, and trained to become an elite force for the personal use of the sultan or higher lords. The Arabic word Ghulam (boy) was sometimes employed for the bodyguards they would become. The boys would be sent by the caliph or sultan to enforce his rule as far afield as Spain (Venice and Genoa were major players in their transportation despite Papal interdictions) and sold to the commanders of the Islamic governments of the region. Under their new masters they were manumitted, converted to Islam, and underwent intensive military training. Islamic society, like that of medieval Christendom, took the form of a theoretical pyramid of fealty with the king or sultan at the top and numerous petty lords at its base with each lord above them holding rights of loyalty over them. In the military societies of the 13th century higher lords or amirs maintained a large number of Mamluks, and the sultan held the most. During the Mamluk Sultanate, succession and the power struggles to dispute succession were based chiefly on the size of a candidate’s powerbase, in terms of numbers of men in arms and client lords, that he could muster. The Mamluks, who had been taken from their families in their youth and had no ties of kin in their new homelands, were personally dependent on their master. 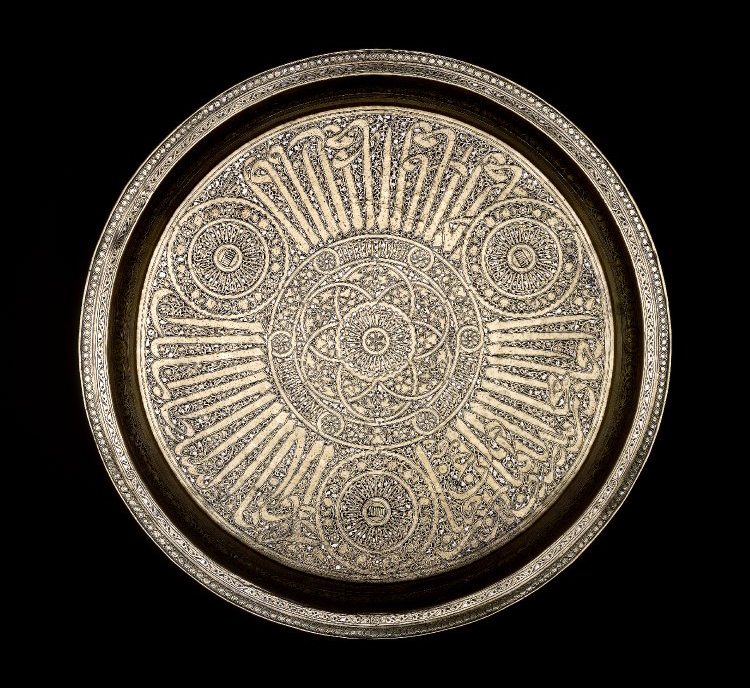 This gave the Mamluk state, divorced as it was from its parent society, a solidity that allowed it to survive the tensions of tribalism and personal ambition, through establishment of interdependency between the lower orders and sergeants and the higher lords. And at the centre Mamluk politics were bloody and brutal. Mamluks were not supposed to be able to inherit wealth or power beyond their own generation but attempts to create lineage did occur and every succession was announced by internecine struggles. Purges of higher lords and rivals were common and sultans commonly used impalement and crucifixion to punish those suspected of acts of lèse majesté or intrigue. In theory a Mamluk’s life prepared him for little else but war and loyalty to his lord. Great emphasis was placed upon the Furūsiyya – a word made up of the three elements: the ‘ulum (science), funun (arts) and adab (literature) – of cavalry skills. The Furūsiyya was not dissimilar to the chivalric code of the Christian knight insofar as it included a moral code embracing virtues such as courage, valour, magnanimity and generosity; but it also addressed the management, training and care of the horses that carried the warrior into battle and provided him with leisure time sporting activities. It also included cavalry tactics, riding techniques, armour and mounted archery. Some texts even discussed military tactics: the formation of armies, the use of fire and smoke screens. Even the treatment of wounds was addressed. The Mamluk dynasty carefully codified the Furūsiyya, and beautiful illustrated examples were produced. These books also carry the mark of the Mongol influence; many pages are decorated with lotuses and phoenixes, motifs carried from China through the Pax Mongolica. The Mamluks lived almost entirely within their garrisons, and their leisure activities show a striking correspondence to the much earlier comment of the military writer Vegetius that the Romans’ drills were bloodless battles and their battles were bloody drills. 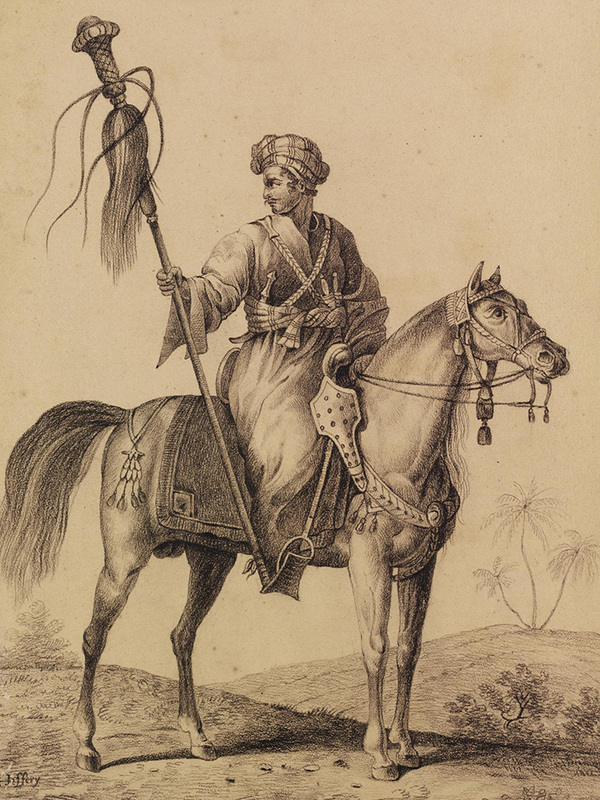 Polo was the chief among these for the Mamluks; with its need for control of the horse, tight turns and bursts of speed, it mimicked the skills required on the battlefield. Mounted archery competitions, horseback acrobatics and mounted combat shows similar to European jousting often took place up to twice a week. The Mamluk sultan Baybars constructed a hippodrome in Cairo to stage these games and polo matches. The Mamluks’ opportunity to overthrow their masters came at the end of the 1240s, a time when the Kurdish Ayyubid dynasty, set up by Saladin in the 1170s, had reached a modus vivendi with the Crusader states; skirmishing, rather than outright war, was the order of the day in Syria and the Holy Land. However, events in the east were beginning to impact on the region. The Mongols on the eastern steppes were attacking western Chinese tribes and advancing into southern Russia, pushing other peoples west. In 1244, with the tacit support of the Ayyubids in Cairo, Jerusalem fell to a wandering band of Khwarezmians, an eastern Persian group who were themselves fleeing the Mongol destruction of their fledgling empire. One of their first acts was to destroy the tombs of the Latin kings of Jerusalem. In response, Louis IX of France called a crusade (the seventh) though neither the papacy nor any other major Christian monarch was stirred to action. Rather than directly attacking the Holy Land, Louis planned to wrest the rich lands of Egypt from Islam, hoping that control there would lead to the control of Syria. Detail of a miniature of the attack on Damietta, French. Louis took Damietta in the Nile delta in June 1249 with an army of about 20,000 men. The Egyptian army withdrew further up the river. Louis started to march on Cairo in November and should have gained an advantage from the death of the last Ayyubid sultan, as-Salih. Despite chaos in Cairo during which the sultan’s widow, Shaggar ad Durr, took control – initially with Mamluk support – Louis and the Templars were roundly defeated by the Mamluk Bahirya commander Baybars at al-Mansourah (al-Mansur). Louis refused to fall back to Damietta and his troops starved, before a belated retreat during which he was captured in March 1250. He was ransomed in return for Damietta and 400,000 livres. Louis left for Acre where he attempted a long-distance negotiation with the Mongols (who he may have believed to be the forces of the mythical Christian king Prester John) to assist him against the Muslims. As-Salih had done much to promote the power of the Mamluks during his reign, perhaps too much, and the Mamluks eventually forced Shaggar ad Durr to marry their commander Aybeg. Louis’ crusade therefore proved the catalyst for the Mamluks to finally dispense with their Ayyubid overlords. The Bahri Mamluk dynasty was set up in 1250, with Aybeg as its first, though not uncontested, sultan. However, Aybeg was later murdered in his bath on his wife’s orders. More political murders followed including the beating to death of Shaggar ad Durr until Qutuz, the vice-regent, brought the factions bloodily under his control. In February 1258 the Mongol armies of Hulegu, grandson of Chinggis Khan and the brother of Kublai, later the Great Khan and Emperor of China, took Baghdad. The Mongols undertook a wholesale massacre: at least 250,000 were killed, but the intercession of Hulegu’s wife spared the Nestorian Christians. 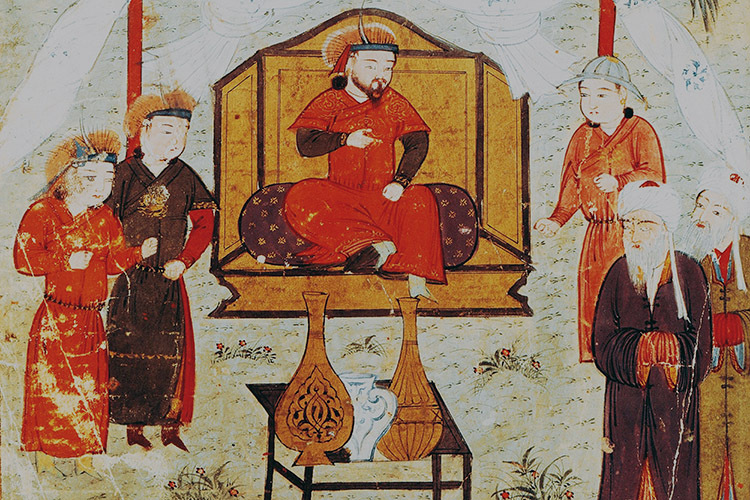 Mongol troopers kicked al-Musta’sim, the last Abbasid caliph and spiritual leader of Islam, to death after having rolled him in a carpet – the Mongols did not wish to spill royal blood directly. Aleppo fell almost as bloodily soon after, and it was widely reported, though perhaps untrue, that the Mongols used cats with burning tails sent running into the city to end the siege by fire. Damascus quickly capitulated, but one of those who escaped the Mongols was the Mamluk general Baybars (1223-77), who had been instrumental in the defeat of Louis in 1249. He fled back to Cairo. The Mongols completed their conquest of Syria by the near-annihilation of the Assassin sects and by over-running the kingdoms of Anatolia. Only Egypt, a few isolated cities in Syria and the Arabian Peninsula were left to Islam in its historic heartland. The Mamluk sultanate, in power for less than a decade, had shown few signs of enduring. It was led by sultan Qutuz, who had seized power in November 1259 and was still consolidating his authority. Hulegu sent envoys to Qutuz in Cairo demanding his surrender. Qutuz killed the envoys and placed their heads on the gates of the city, considering treaty with the Mongols to be impossible and that exile into the ‘bloodthirsty desert’ was equivalent to death. Qutuz mobilized and was joined by Baybars. At this point news arrived that the Mongol Great Khan Mongke had died, and Hulegu returned to Karakorum to support his branch of the family’s claim on power. The remaining Mongol army in Syria was still formidable, numbering about 20,000 men under Hulegu’s lieutenant, Kit Buqa. The Mamluk and Mongol armies encamped in Palestine in July 1260, and met at Ayn Jalut on 8 September. Initially, the Mamluks encountered a detached division of Mongols and drove them to the banks of the Orontes River. Kit Buqa was then drawn into a full engagement; Qutuz met the first onslaught with a small detachment of Mamluks; he feigned retreat and led the Mongol army into an ambush that was sprung from three sides. The battle lasted from dawn till midday. The Mamluks employed fire to trap Mongols who were either trying to hide or flee the field; Kit Buqa was taken alive and summarily executed by Qutuz. According to the Jama al-Tawarikh (a 14th century Persian history) he swore his death would be revenged by Hulegu and that the gates of Egypt would shake with the thunder of Mongol cavalry horses. As the Mamluks returned to Cairo, Baybars murdered Qutuz and seized the sultanate himself. This event set the pattern of succession in the Mamluk Empire: only a handful of sultans ever died of natural causes and of these, one died from pneumonia brought on by permanently wearing armour to ward off assassination attempts. The average reign of the sultans was a mere seven years. Despite this the dynasty proved to be one of the most stable political entities of the medieval Middle East. After the Ottomans had hanged the last Mamluk sultan in 1517, the loss of the Mamluks was universally lamented in Egypt, and many minor Mamluk functionaries remained to manage the Turks’ new province. Baybars I proved thorough and ruthless, and a gifted exponent of realpolitik. Even though he was to follow his victory over the Mongols with an assault on the remaining Crusader cities in Syria, he maintained friendly relations with Norman Sicily; and even though he attempted to destroy what remained of Assassin power in Syria, he employed what was left of them to carry out political murders among both his domestic rivals and enemy leaders. Indeed the future king Edward I of England was fortunate to survive a Baybars’ sponsored Assassin attempt on his life in Acre in 1271 during the Eighth Crusade. For some years Baybars kept a member of the Abbasid family as a puppet caliph to engender legitimacy for the Mamluk dynasty – until the unfortunate man was packed off to North Africa and never heard of again. Baybars is said to have died in 1277 from drinking a cup of poisoned wine intended for a guest; the story is probably apocryphal but it fits well with the nature of his life. It has been suggested that the Mongols, the invincible force of the time, were outclassed by the Mamluks on the battlefield; the Mongols were lightly armoured horse-archers riding small steppe ponies and carrying little but ‘home-made’ weapons for close combat, whereas the heavily armoured Mamluks, on larger Arab-bred horses, could match them in their mounted archery and then close and kill with the lance, club and sword. It has also been argued that the Mongols were lacking in organizational training whereas the Mamluks spent their lives in training. According to this view, the Mongols were most effective only in terms of their mobility and their rate of fire. The Mongols’ use of ‘heavy’ arrows, allied with the waves of galloping cohorts each of which would fire four or five arrows into the enemy, would exhaust the opposition. Indeed, this together with outflanking manoeuvres, appears to have been the pattern of Mongol attacks. Each Mongol trooper had several fresh mounts ready to ensure the momentum of the attack was not lost. 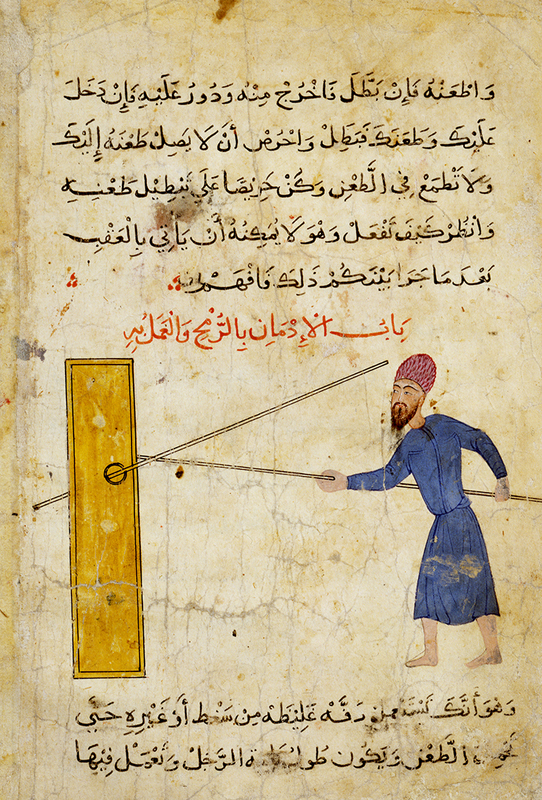 The Mamluks could match the Mongols’ archery assault with their crafted bows and armour and, though they had just one horse each, they could use the larger size of these mounts to deliver a charge like that of Norman knights but with the addition of mobile archery and a ‘Parthian shot’ if required during withdrawal. The timing of the charge was all. The Mamluks were able to destroy the Mongol army at Ayn Jalut – and again at the second battle of Homs in 1281 – by a series of attacks; their command and control mechanisms must have been impressive. The Mamluks themselves formed only the core of Syrian and Egyptian armies. Shortly after Ayn Jalut, the Mongols were defeated again at Homs in 1260 by an army combining Ayyubid levies and Mamluks. Islamic success against the Mongols was founded on the military abilities of the Mamluks, but it was Mamluk statecraft that ultimately defeated the invaders. As well as rapidly clearing Syria of Mongols, they began a process of fortification and improved communications and diplomacy with the Islamic princes of the region, thus consolidating Egyptian power in Syria. The protection of Syria was central to the Mamluk claim to be the defenders of Islam. Egypt’s resources were devoted to building and training the army for Syria, which was always mobilized at the slightest provocation from the Mongols. Communications within the Mamluk state were also well-organized. Harbours were improved and a four-day postal service established between Cairo and Damascus. Baybars opened up trade with the Spanish kingdom of Aragon and maintained friendly relations with the Italian maritime states. He also sent emissaries to the Golden Horde, the Mongol khanate of Russia with which Hulegu’s Ilkhanate was involved in a protracted struggle. This helped to maintain the flow of slaves from the Black Sea region for the maintenance of the Mamluk system and also built up pressure on the Ilkhanate. Baybars also sent raiding parties into Mongol areas of Armenia, the southern Taurus Mountains and the Seljuk Sultanate of Rum. His priority, though, was to defend Syria and hold Egypt. When he attempted to operate in Anatolia in 1277 and to stir up a Turcoman revolt against the Mongols in this area, he quickly found his resources insufficient for such enterprises. Baybar’s assaults on Lesser Armenia and the threat of a concerted and simultaneous Mamluk and Golden Horde attack on the Ilkhanate meant that the Mongols felt a need to hem in the Mamluks and if possible bring Northern Syria into their sphere of influence. The spreading of the Muslim faith among the Golden Horde would also have alarmed the Ilkhans, who themselves did not begin converting until late in the 14th century. The Ilkhans’ subject population was overwhelmingly Muslim, and the Mamluks, with their Egyptian-based caliphate, had effectively become the leaders of the Muslim world. In retaliation, the Ilkhanate made agreements with Constantinople, perhaps fearing that Byzantium, too, might engage with the Golden Horde or the Mamluks if the Mongols attacked Greek possessions. As well as holding the Mongols at bay, Baybars destroyed the Christian lands of Outremer. In 1263 he captured Nazareth and destroyed the environs of Acre. In 1265 he captured Caesarea and Haifa. He then took the fortified town of Arsuf from the Knight Hospitallers and occupied the Christian town of Athlit. Safed was taken from the Knight Templars in 1266. He slaughtered the Christians if they resisted, and had a particular enmity for the military orders: the Templars and Hospitallers received no quarter. Qalawun, his general and a later sultan, led an army into Armenia in 1266. Sis, the capital, fell in September 1266. With the fall of Armenia the Crusader city of Antioch, first captured by Bohemond in 1098, was isolated. 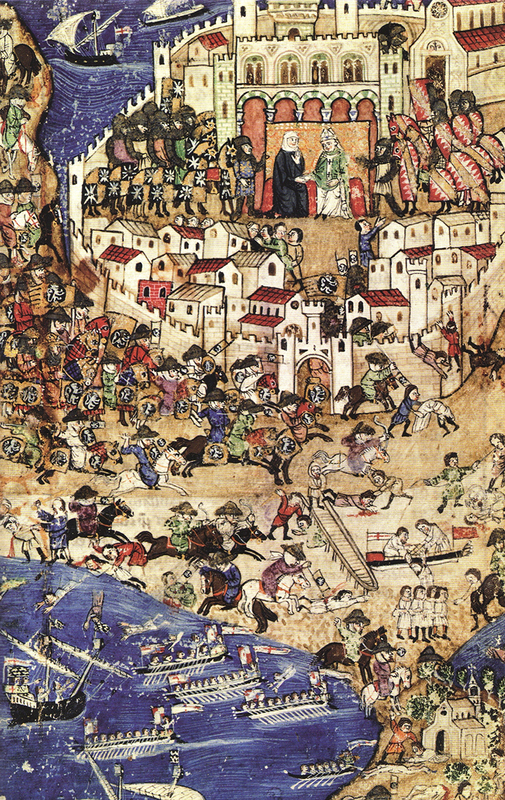 Baybars commenced its siege on 14 May 1268 and the city fell four days later. All the inhabitants who were not killed were enslaved. Acre was attacked again in 1267 but withstood the assault. Jaffa fell in March 1268 and Beaufort the following month. In 1271 Baybars took the White Castle and Krak des Chevaliers from the Templars and Hospitallers after a month-long siege, and added to its already awesome fortifications. The Christians had shown that such powerful fortresses could break up insurgencies, make up for a paucity of forces and threaten communication lines, and the Mamluks followed the same policy. Baybars may have feared an alliance between the Mongols and Christian powers. The Mongols certainly tried to achieve this and in 1271 Edward Plantagenet, during the Eighth Crusade, was able to convince them to send a sizeable force into Syria to reduce the Mamluk pressure on the remaining Crusader cities. But after the failure of the Crusade the last cities soon fell: Tripoli was taken by the army of Sultan Qalawun, Baybar’s successor, in 1289 and the Crusader settlement of Acre fell in 1291. This effectively made the Syrian coast an impossible beachhead for Christians; there would be no more Crusader attempts to regain the Holy Land or Syria. The Mamluk dynasty was now secure, and it lasted until the 16th century. Power struggles prevented continuity at the centre, and even after the Circassian Burji Mamluks seized power from the Bahri Mamluks in the mid-14th century, factionalism and insecurity continued unabated. The Mamluks managed successfully to re-establish their Syrian powerbases following Timur’s brief but hugely destructive invasion in the early 1400s; but the dynasty had been left weakened by the Black Death which had made repeated onslaughts through the Middle East from the mid-14th century and it soon lost the valuable trade revenues of Syria after the Portuguese opened up Europe’s ocean trade and the route to India in the late 15th century. In the end it took two only two brief battles for the Ottoman Sultan Selim I to decimate the last Mamluk army to take the field just outside Cairo near the Pyramids in 1517. The Ottoman army used firearms and artillery, but the Mamluks rode out to meet them with bow, lance and sword. History had caught up with them. Selim I continued to employ a Mamluk as viceroy, however, and recruitment of Circassians as ‘tax farmers’ continued until the new age arrived in Egypt with Napoleon’s army in 1798. Indeed faction building and Mamluk infighting were still characteristic of Egyptian politics in the early 19th century. Father of the poor and miserable, killer of the unbelievers and the polytheists, reviver of justice among all. – a suitable testament to a dynasty that prevailed against the most powerful empire of the medieval age. This article originally appeared in the March 2006 issue of History Today with the title 'The Mamluks'.